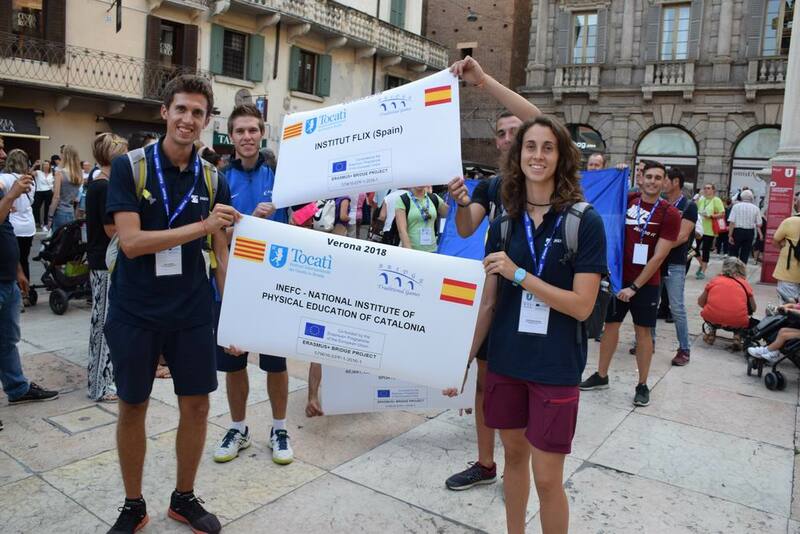 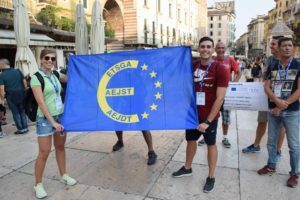 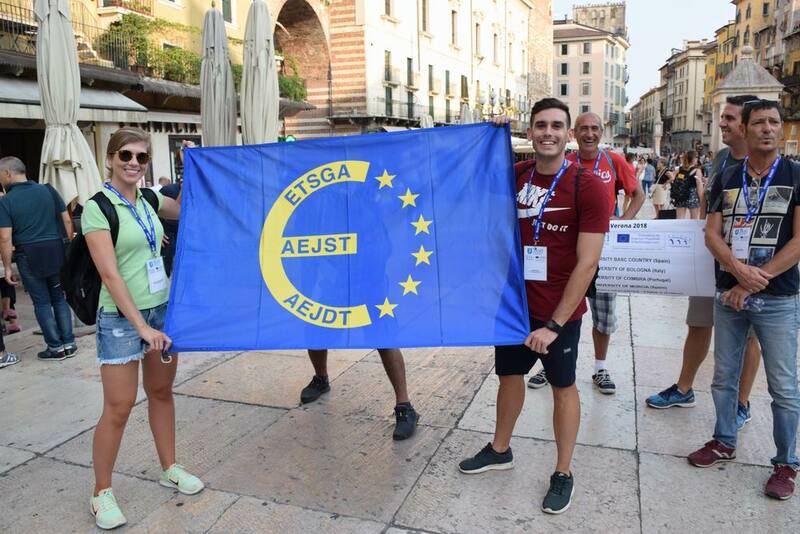 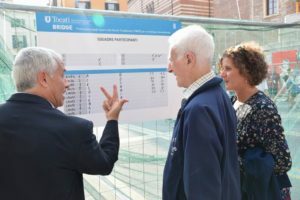 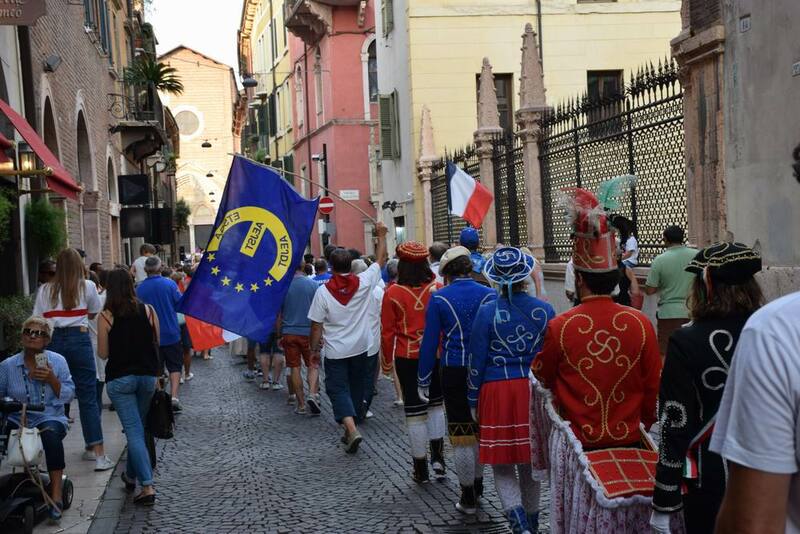 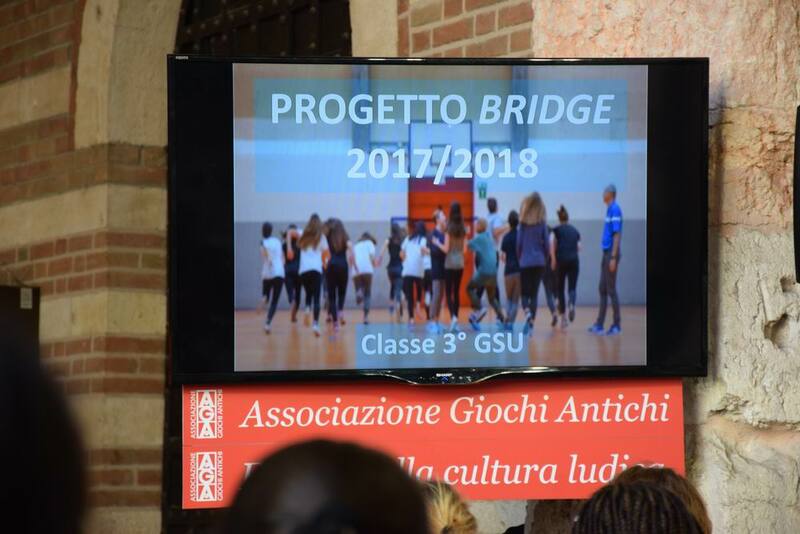 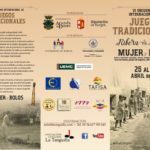 The AEJeST has also had an important participation in the Tocatì festival programme by presenting the BRIDGE project: Promotion of European Traditional Sport and Play: a bridge for intercultural dialogue. In this ERASMUS project, promoted by the AEJeST, several universities, schools and institutes from four countries have participated: INEFC Lleida, the University of Bologna, the University of Murcia, the University of Coimbra, the Euskal Herriko Univertsitatea of Vitoria, and the University of Paris Descartes. 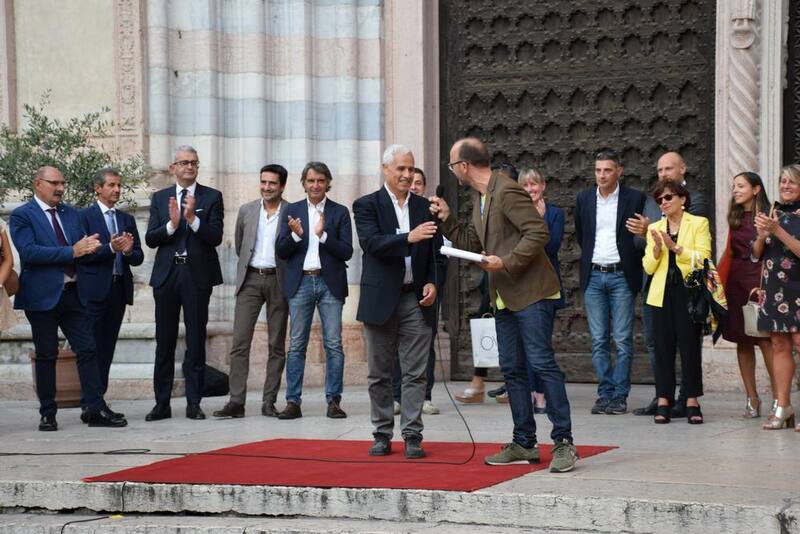 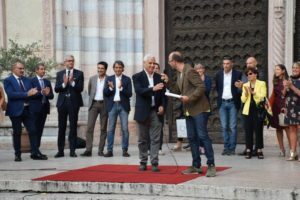 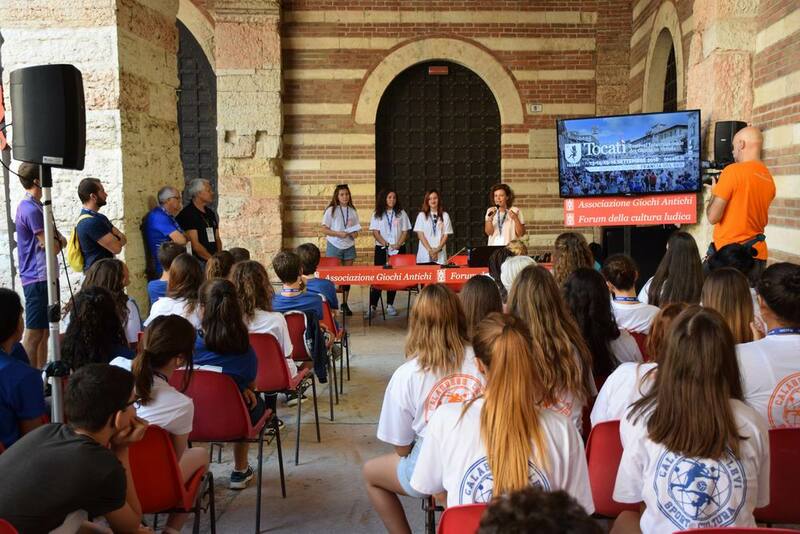 But the real protagonists have been the students of the participating educational centres: Collège-Lycée Public Jules Verne in Nantes (France), the Levi Calabrese Technical Institute in Verona (Italy), the Lousã School Group (Portugal) and the Flix Institute (Spain). 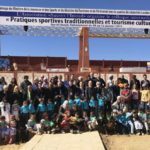 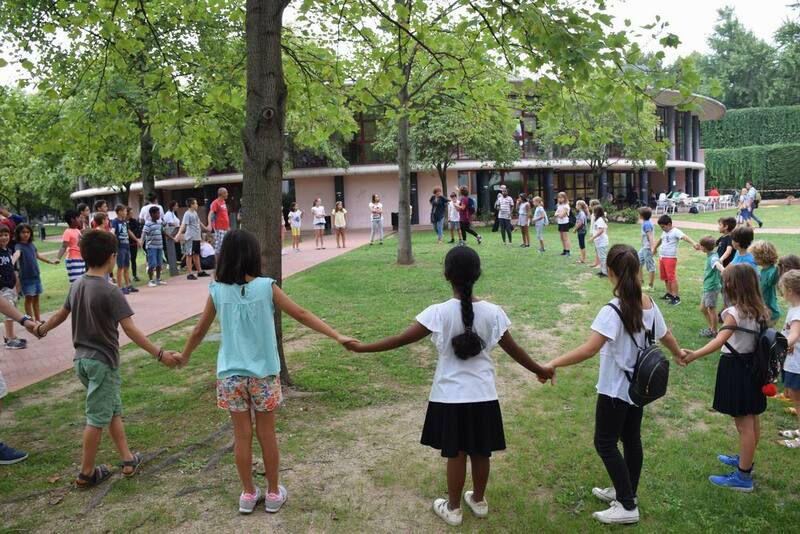 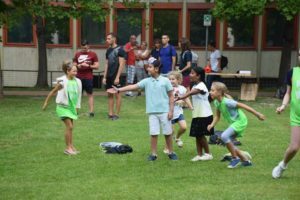 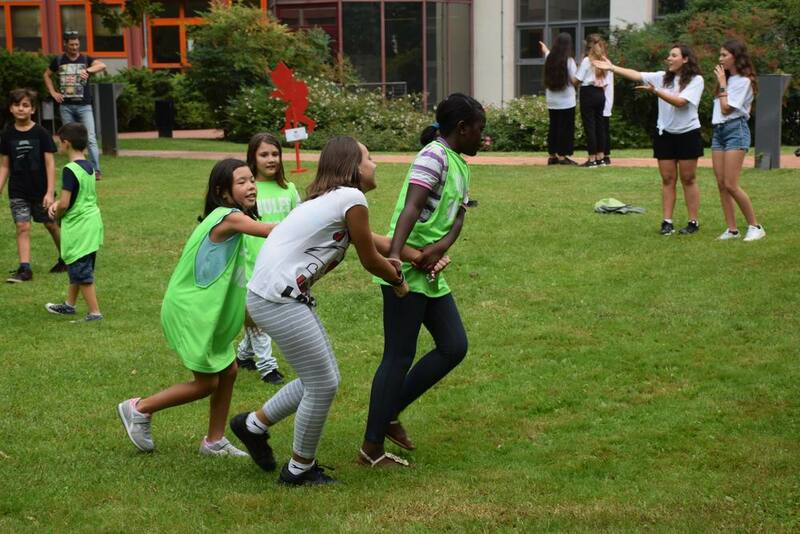 For two years these schoolchildren have virtually shared traditional games, they have known playful practices from other countries and they have established a “bridge”, an “intercultural dialogue”. 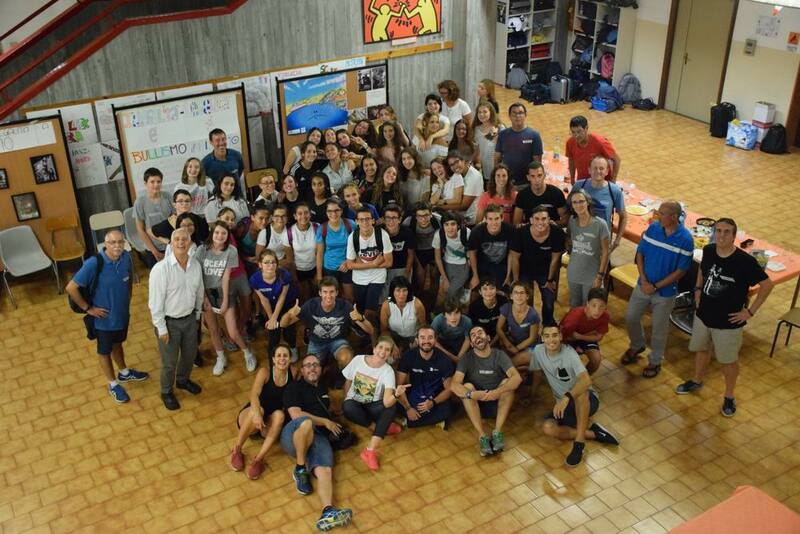 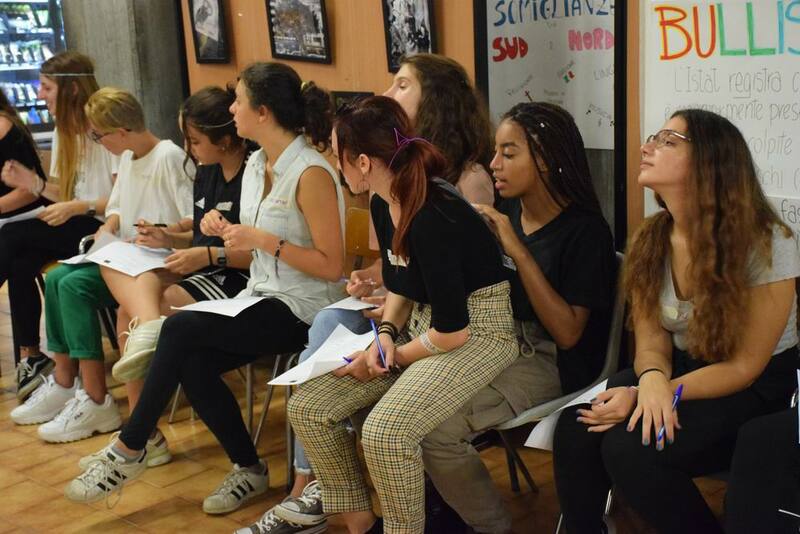 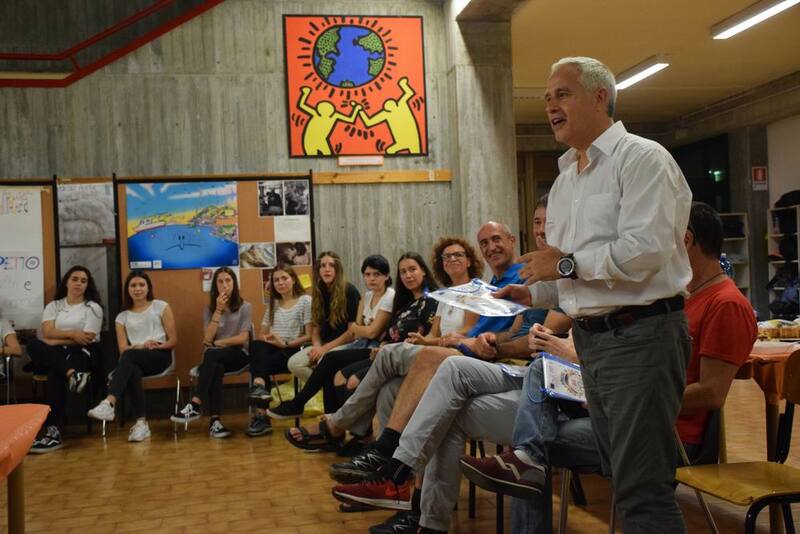 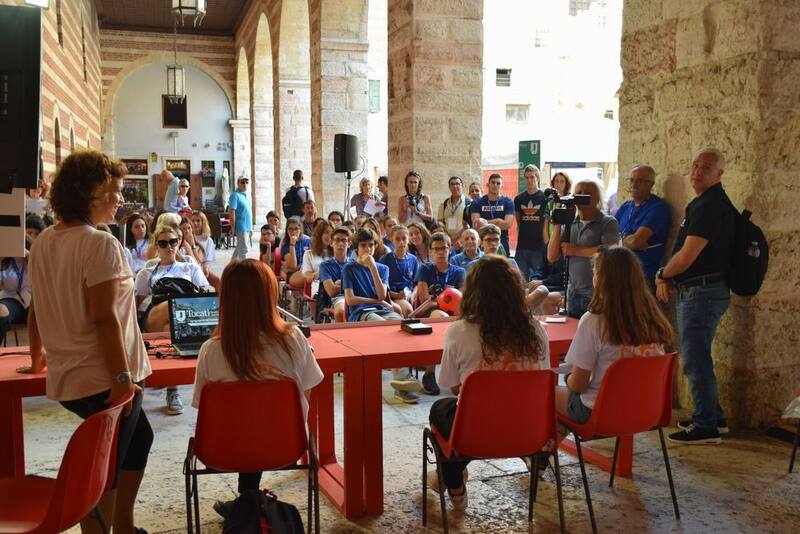 With the participation in Tocatì, the European Bridge Project closes with the attendance of 60 students, together with their accompanying teachers, from 3 secondary schools (Calabrese-Levi, Italy; Jules Verne France; Agrupação Escolas Lousã, Portugal; Institut Flix, Catalonia, Spain), as well as 12 undergraduate, master’s and doctoral students (INEFC, Univ. 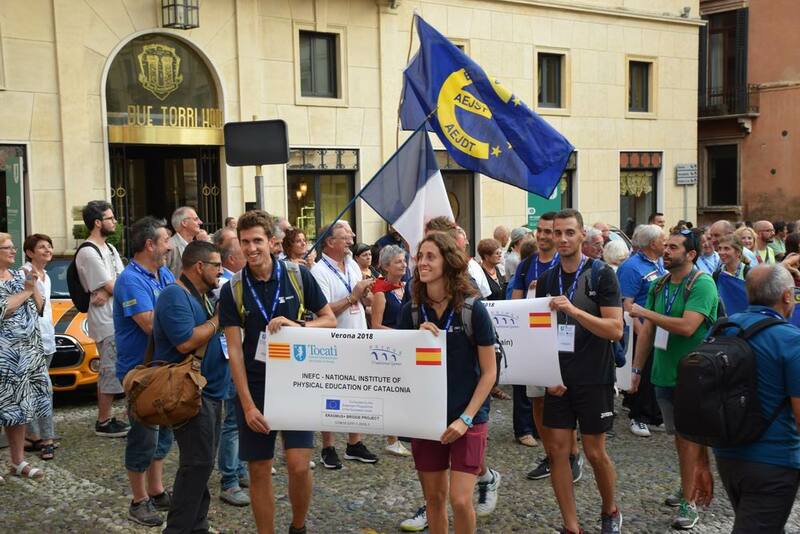 Lleida, Spain), and the presence of representatives from 6 Universities: Bologna, Italy; Paris V, France; Coimbra, Portugal; Vitoria, Murcia and INEFC-Univ. 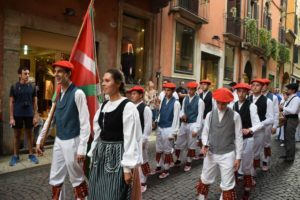 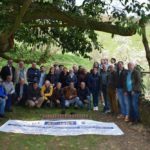 Lleida Spain), as well as people and associations related to traditional games such as Professor Pierre Parlebas and AGA (Italy). 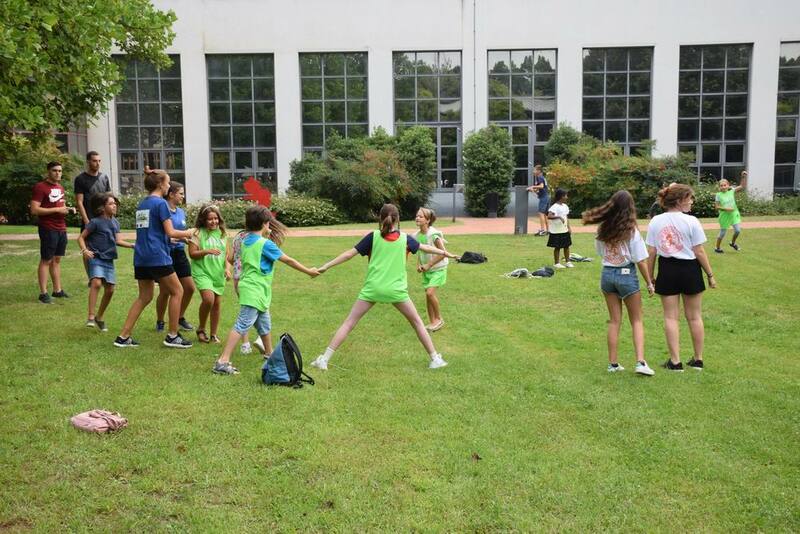 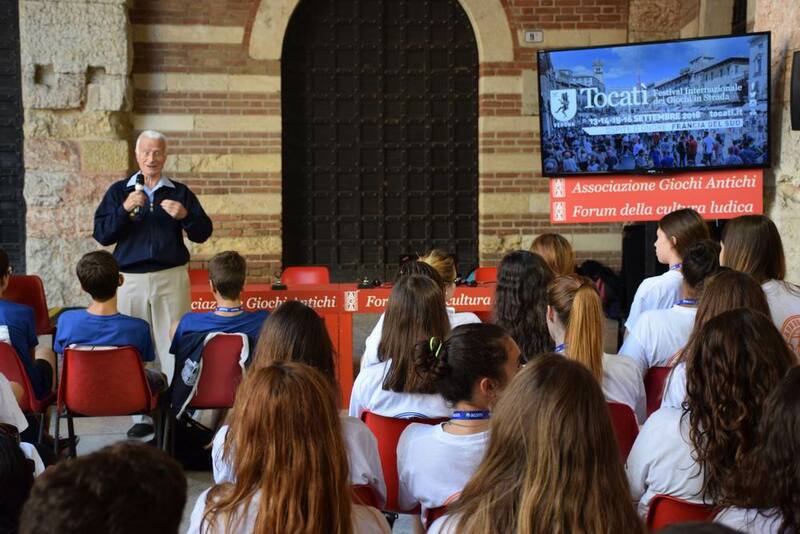 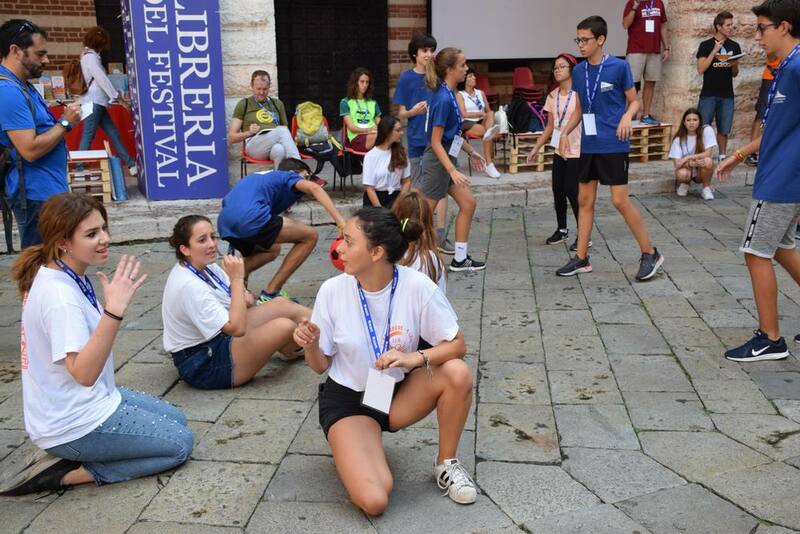 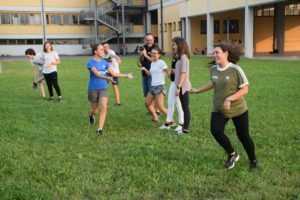 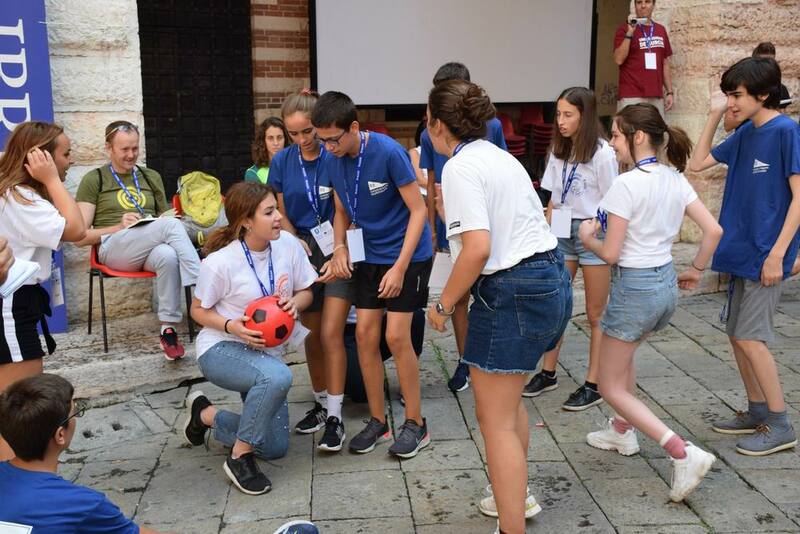 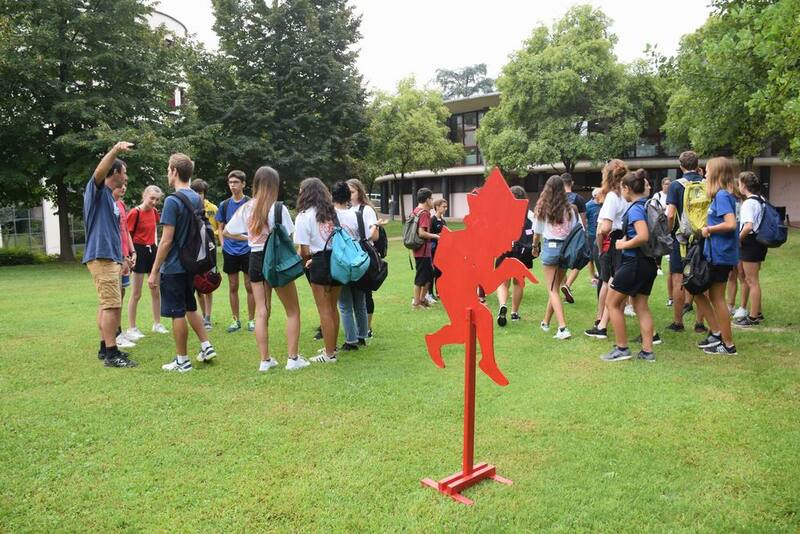 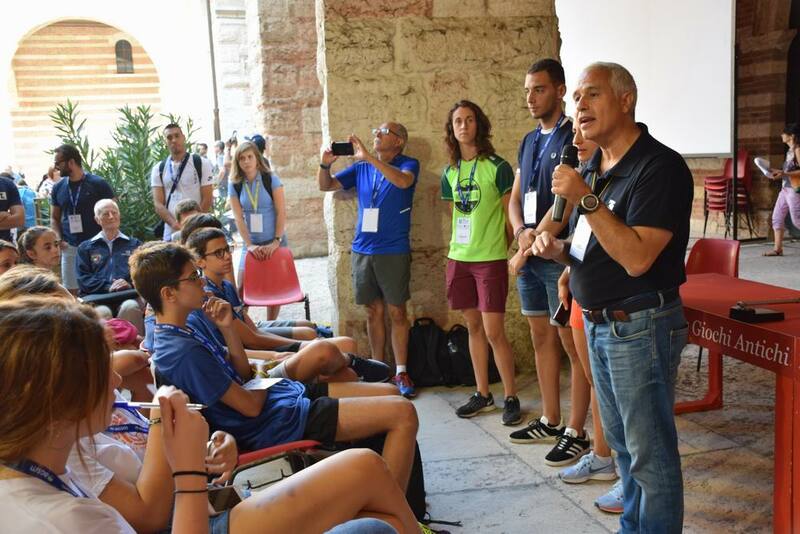 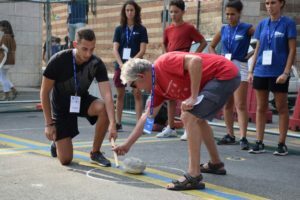 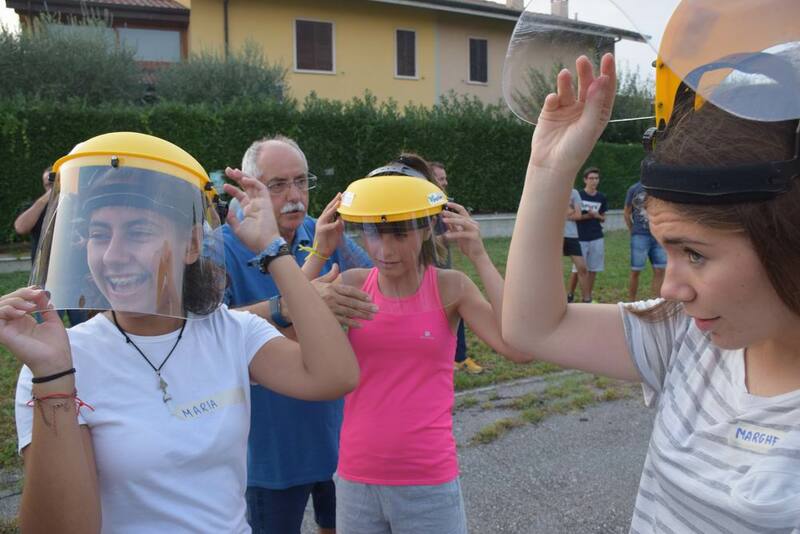 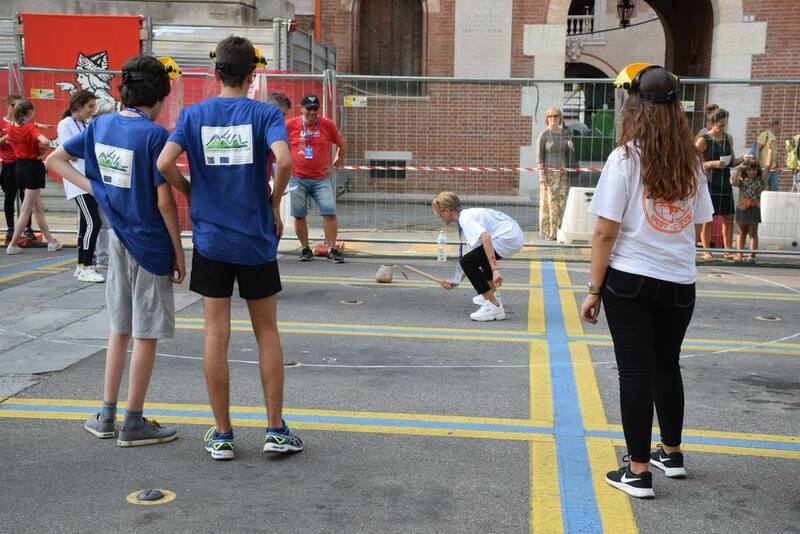 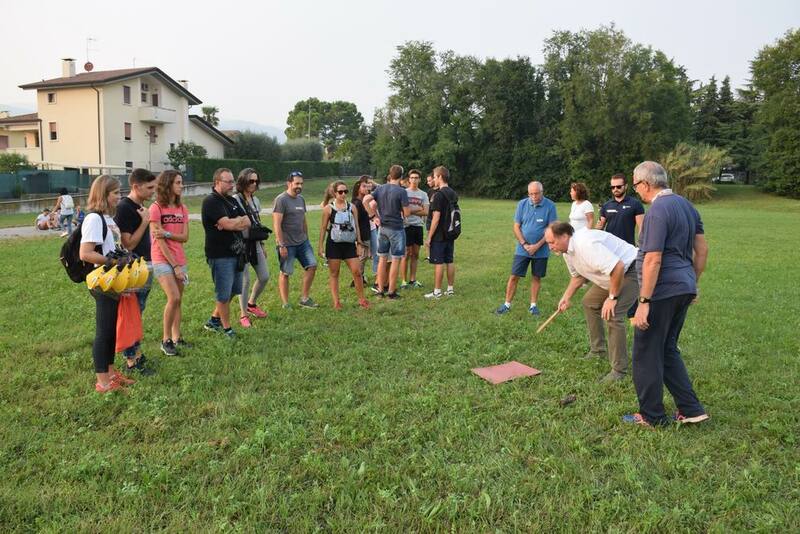 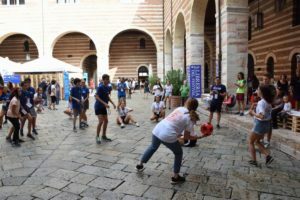 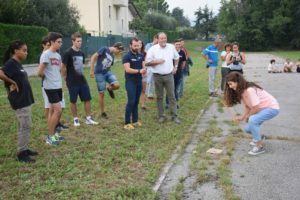 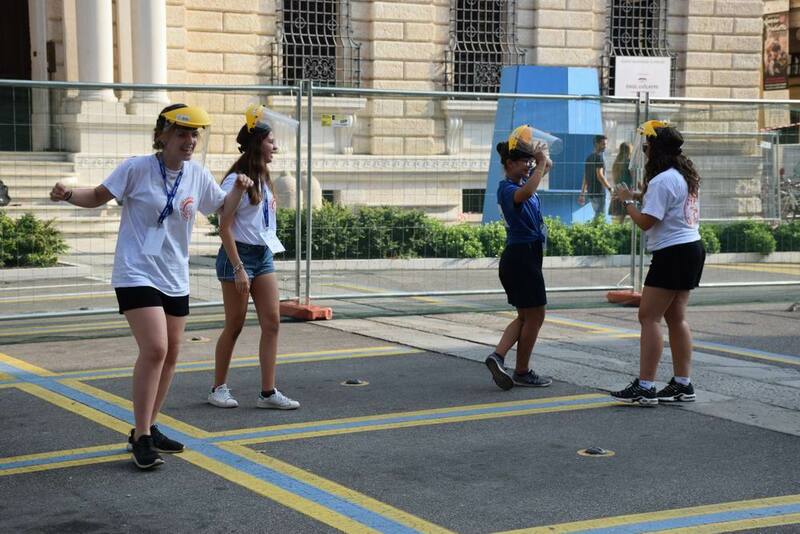 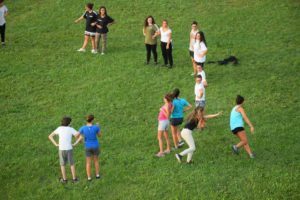 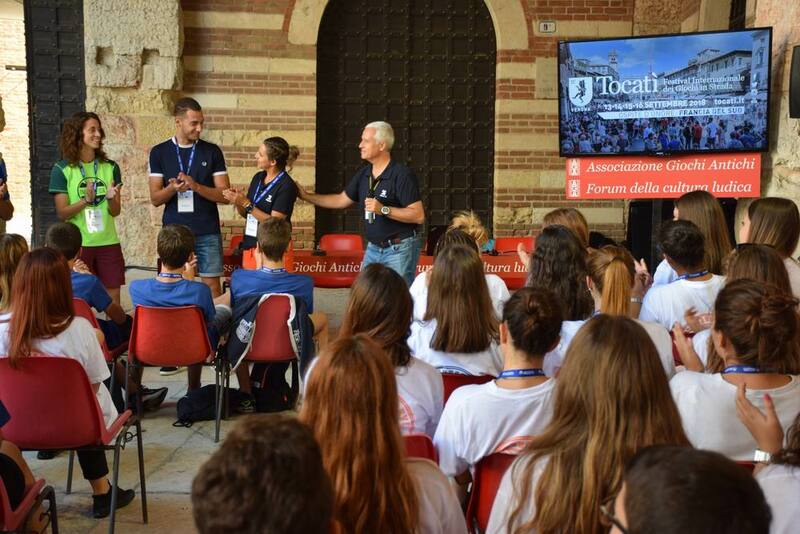 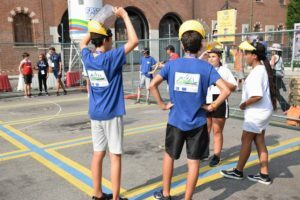 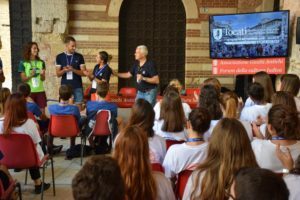 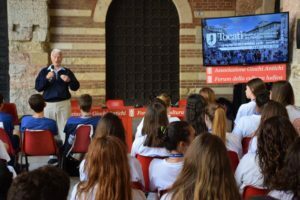 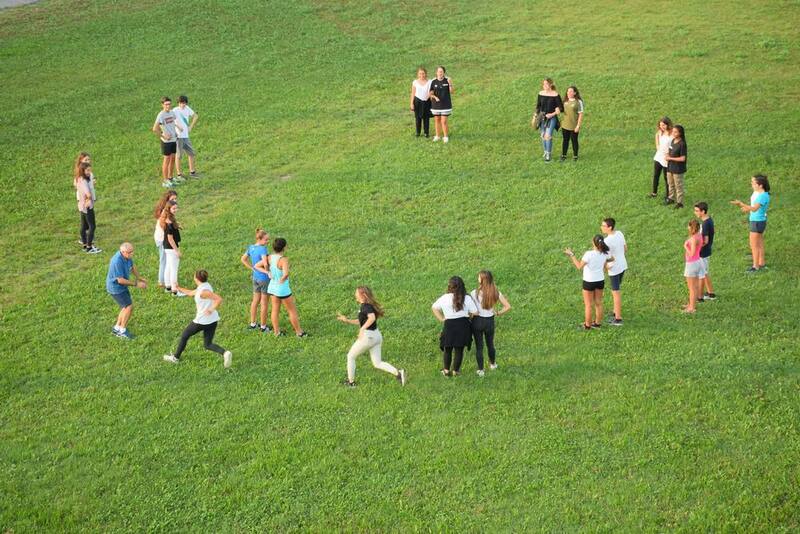 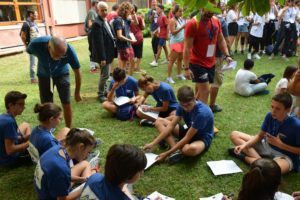 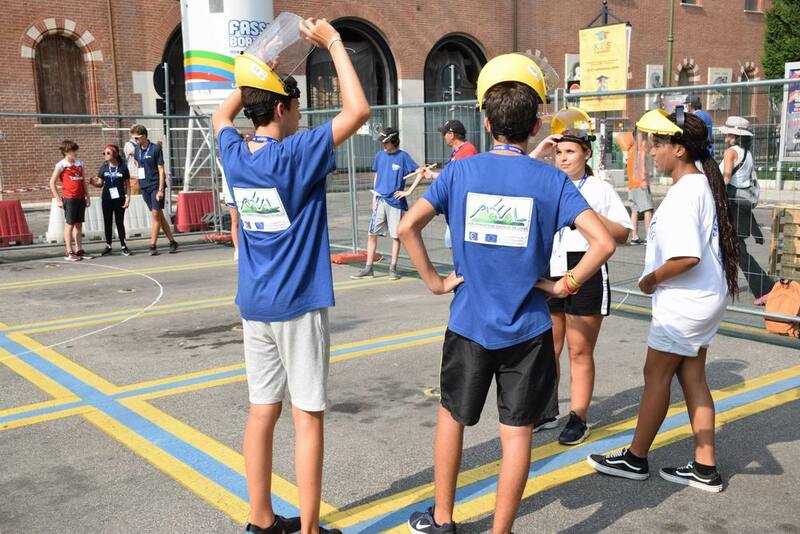 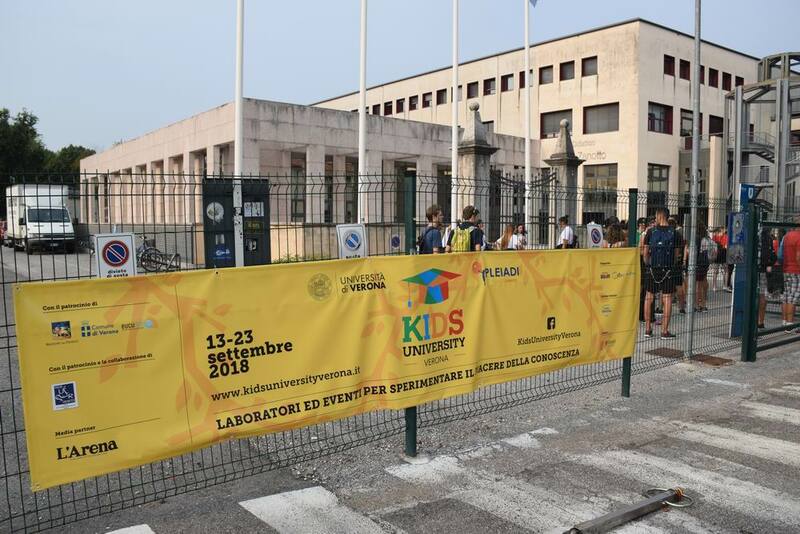 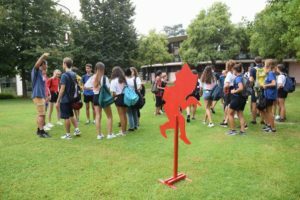 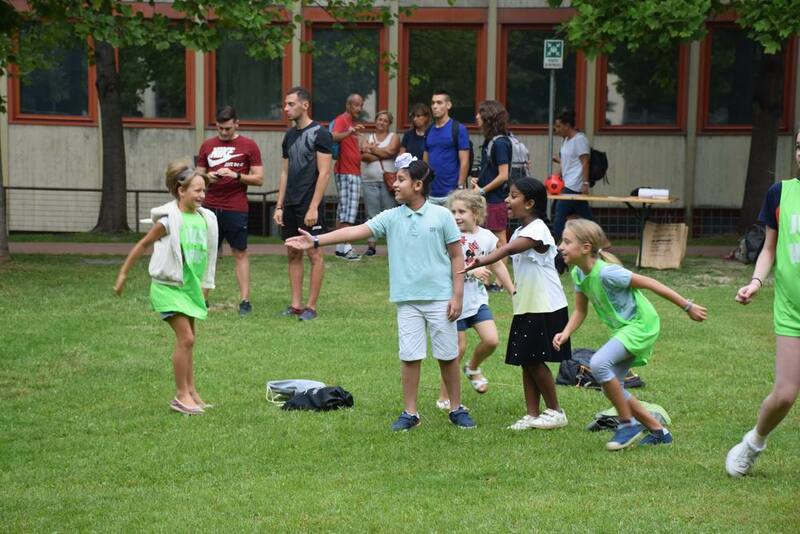 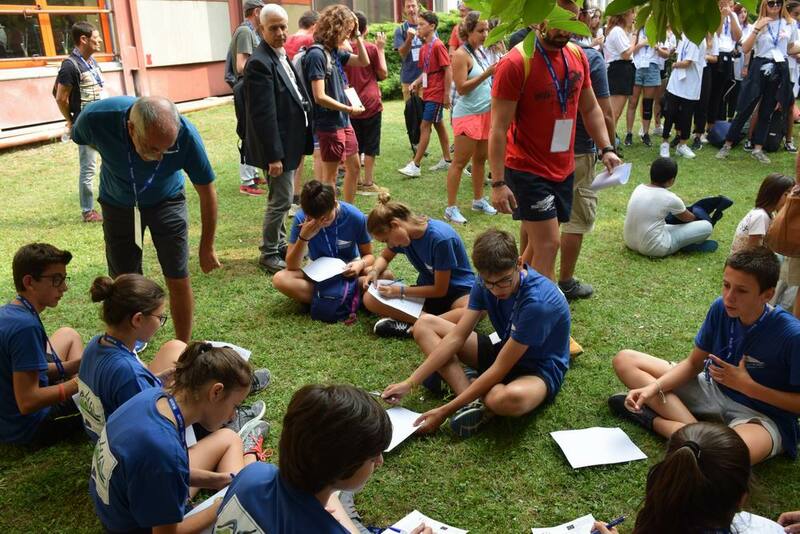 Within the framework of the Tocatì Festival, the pupils of the participating centres enjoyed a unique experience: to become “game masters” by teaching and dynamising the games they had prepared during the two years to children from a primary school in Verona linked to the University. 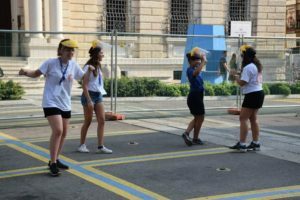 Undoubtedly an activity that confirms that through play there are no linguistic or cultural barriers. 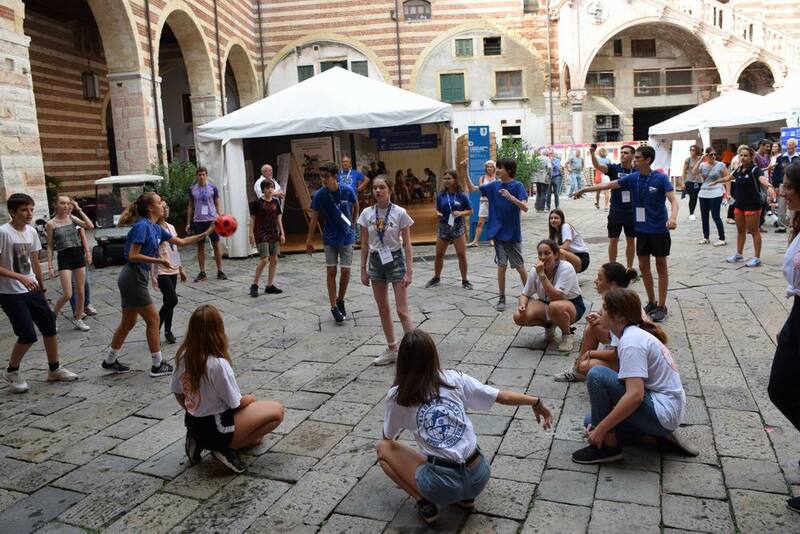 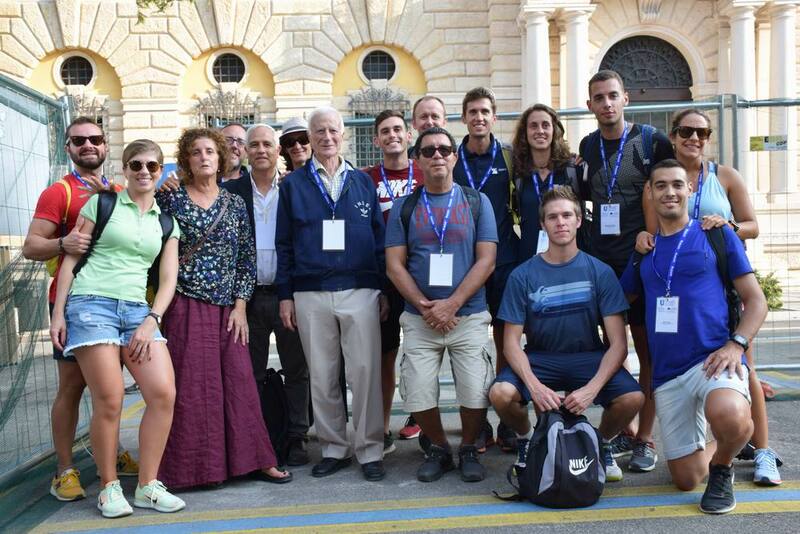 These same students participated, on Friday afternoon, in an International Lippa Competition in the centre of Verona. On Saturday 15th they were again the protagonists on the occasion of the presentation of the BRIDGE project in the Festival Auditorium. 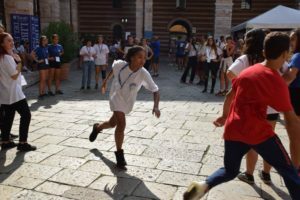 In this space they showed the games to visitors, interacted with the audience and shared their experience reflecting on what this project has meant and the importance of intercultural dialogue through traditional games.